It's time for another Sketchy Thursday Challenge. 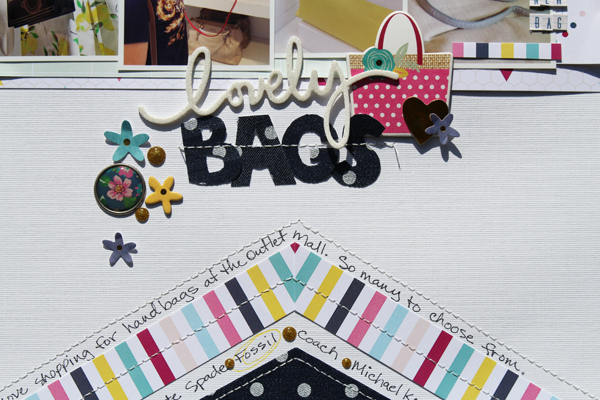 Create a layout based on this sketch for a chance at the monthly prize at Scraptastic Club Blog. This month's sketch will allow you to use one larger photo or several small photos. 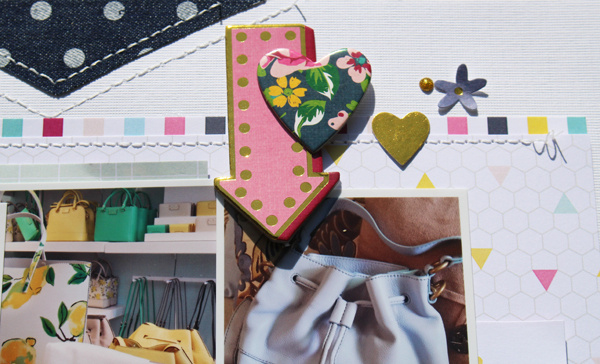 There's also space for extra space for embellishment. Visit the Blog to see all of the other creations by our design team. For my example I used the "Wednesday Night" kit and Add on Kit. I decided to use 4 photos rather than 3. I cut my title from the dotty denim fabric paper because I just love that fabric. and another close up because the gold foil accents just are not showing up in my photos very well, but they are awesome.